The five kinds of stressors can tell you a lot about why you always seem to be on edge. A stressor doesn't always have to be something that all of sudden makes you feel uncomfortable or upset, it can also be something that has been brewing inside you for years. Acute time-limited stressors are ones given in a controlled environment such as a lab. If you are part of a study, the tech may present you with a stimulus that causes some level of anxiety for you. This could be presenting you with something that you have a phobia of or making you do something you don't feel comfortable doing. The stressor sparks intense stress but only for the time it takes to illicit a response. Brief naturalistic stressors are ones that occur naturally in your environment such as taking a test. The stress you experience usually only lasts for the time you are in the stressful situation. Stressful events sequences happen when there is a traumatic event that causes additional stressors. An example of this is if you are a victim of a natural disaster and then have to deal with the loss of loved ones, belongings, and pulling your life back together. Chronic stressors are situations that happen that force you to change your identity or social roles. If you become disabled, you will need to adjust your life to accommodate your disabilities. Now that you understand the five kinds of stressors, you can understand why you feel so anxious, overwhelmed, and exhausted. You can easily manage some stressors while others need a bit more work to overcome. Acute time-limited stressors and brief naturalistic stressors only last for a short time and usually do not have lasting negative effects. 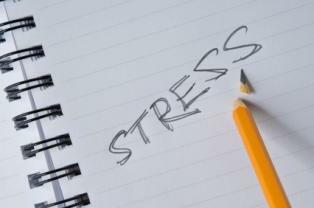 However, stressful events sequences, chronic stressors, and distant stressors can affect your health over time. It's important to know that you may not be able to control the occurrence of stressors but you are able to control your reaction to them. The reason why stressors are a problem for people is that it causes them to feel out of control. If someone close to you dies or endures an injury causing a disability or you become a victim of a natural disaster, you did nothing to cause those situations and that frightens you, which makes you feel stress. The key to overcoming that stress is to do things that make you feel that you are in control. This is why people often change the way they eat and exercise when someone close to them dies or takes extra precautions when someone becomes injured. In a natural disaster, you will often see people coming together to help others recover while helping themselves by taking advantage of available resources. If you are experiencing a great deal of stress, it's time to take back control. Accept the source of your stress and ask yourself what you can do to help it. The steps you take will help you feel like you can control your life and your stress.